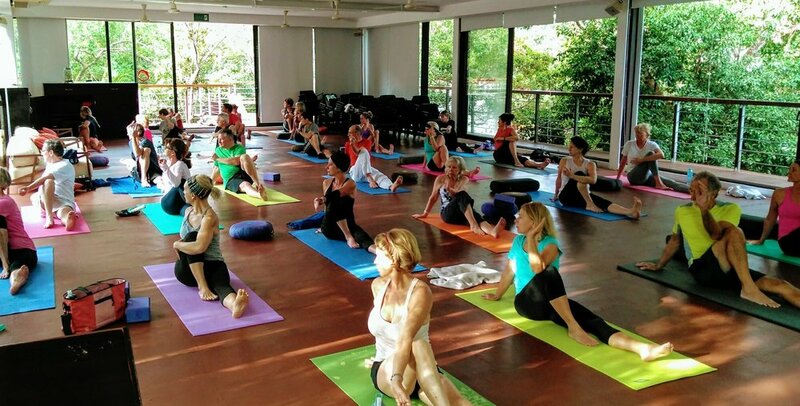 Yoga by the Sea is Playa del Carmen’s original yoga studio. I teach these group classes in English, in Spanish or bilingual in English+Spanish. This awesome fitness group class combines an upbeat playlist, stability- and strength training with yoga. All of this we do on the Ocean Boards. It’s almost like a SUP YOGA class but without the water! So cool...! Come try it for yourself. A super fun total body workout. You’ll be sweating, but we end with a well deserved savasana: …what else!? I teach these group classes in English, in Spanish or bilingual. Classes are included in membership for members of The Gym.